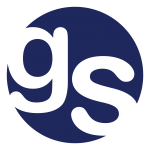 gsc has experience providing advice on operations strategy and specifically in logistics and supply chain operational excellence. In planning and handling of supply chains, gsc can provide insightful input in areas like demand assessment, planning and analysis, price competitiveness, modal choice modelling, optimal transport planning and route selection. In driving supply chain optimisation and sustainability, gsc will utilise economic knowledge and experience to provide value to clients within the freight and logistics business. Economic and policy analysis of potential options for Sydney’s aviation capacity. gs was involved in the strategic analysis of options for future aviation capacity in the Sydney Basin.